Hatred of Hollywood is presumptuous. There’s much goodness from Hollywood: Citizen Kane, The Godfather, and No Country for Old Men. There’s George Clooney, Clint Eastwood, and Greta Gerbo. What Hollywood does better than anyone else is spectacle. Nobody can match it. 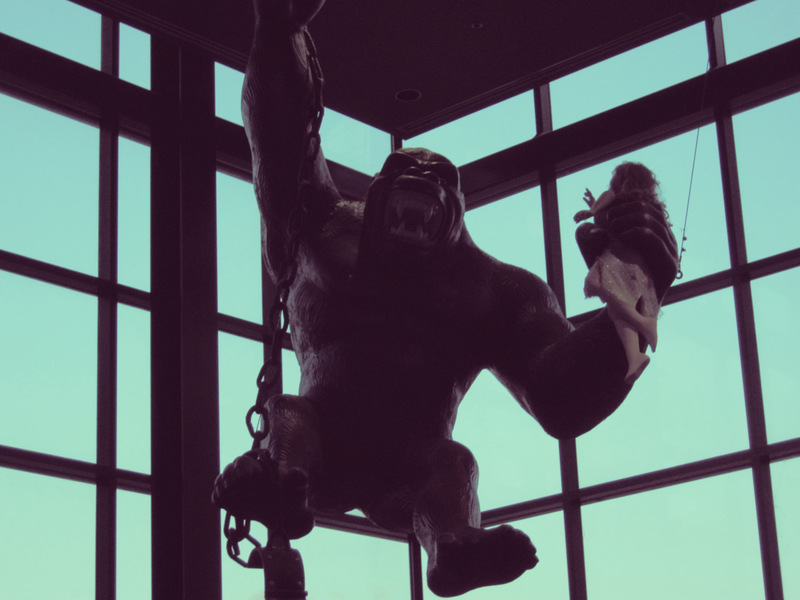 Everyone remembers King Kong holding the damsel in one hand, and pummeling airplanes with another. But why is it happening? King Kong is in love with a damsel. He is willing to battle society’s taboos. He is a beast. He is a brute. But in all ways that he is a king, he is battling a monster more tyrannical: repressed sexuality and good manners. This is the kind of spectacle Hollywood does better than everyone else. How was the fight? It was terrific, even if it was absurd. The first two rounds were pensive — and it was the pensiveness that favoured Hernandez. Cunningham, 35-years-old, showed visible signs of slowing down. You got the feeling that, if only he fought this fight one year earlier, his reaction time would be faster. Hernandez was able to pick his shots artfully. It was in the 3rd Round that Hernandez picked up the pace. He began tearing into Cunningham with devastating body shots. Shot after shot landed, with Cunningham backing up. Clearly, it looked like Hernandez was going to slowly dismantle Cunningham. Then in the 4th Round, the absurd happened. Hernandez delivered a hard hook to Cunningham’s jaw. Cunningham was dropped. His legs shaking uncontrollably, somehow he found his way back up. After nearly being counted out, Hernandez knocked Cunningham down immediately. Cunningham got up again. There was 40 seconds in the round. Hernandez unloaded shot after shot — trying to keep Cunningham from finishing the round. These were big shots, being delivered to Cunningham’s head and body. Cunningham continued to wobble; the referee was about to stop the fight, but the bell rang to end the round. Somehow Cunningham survived. What followed was an admirable display of guts. In Round 5, Hernandez tried to close the deal, when Cunningham suddenly clocked him hard with a counter right. Hernandez staggered. From Rounds 5-9, Cunningham outboxed and outfoxed Hernandez — forcing the younger man to respect him. Hernandez knew Cunningham could have stolen the fight from him. In Round 10, he adjusted his strategy and made it a dogfight. Both men exchanged punches — becoming more desperate as time went on. The dogfight reached a crescendo in Round 12. Hernandez delivered a big left hand. Cunningham once again had his legs wobble, but he fought back. Cunningham then teed off — causing Hernandez to stagger. Seemingly dizzy, and with little more than desperation, Hernandez mustered enough strength to blitz Cunningham yet again. Somehow, both men remained standing. Both men refused to stay down or out. Either man could have been the winner. Johnny finished his last line of code. Excitedly, he ran the compiler to see if all was functional. Tom nodded quizzically. A working interface was the easy part. The difficulty was reverse engineering the Omniscience API — a process which was almost complete. What Tom, Johnny, and their crew of hobbyists were doing was going to change the world. It all stemmed from an event that occurred 50 years earlier, a moment that made Tom never forget the Emergency Broadcast System. 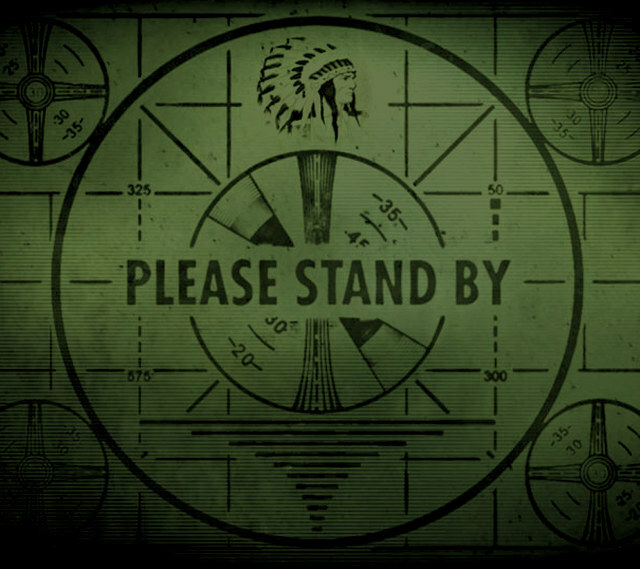 The Emergency Broadcast System (EBS) was an emergency warning system in the United States, used from 1963 to 1997. The EBS was established to provide the President of the United States with an expeditious method of communicating with the American public in the event of war, threat of war, or grave national crisis. On February 20, 1971, Tom was a 7-year-old boy watching Saturday morning cartoons. At precisely 9:33AM, the EBS played the wrong tape during a test of the system. As a result, an EBS activation message authenticated with the codeword “hatefulness” was sent through the entire system, ordering stations to cease regular programming and broadcast the alert of a national emergency. A cancellation message was sent at 9:59 AM EST; however, it used the same codeword. A cancellation message with the correct codeword, “impish,” was not sent until 10:13 AM EST. This event was a false alarm, and exposed major flaws in the system. After decades the EBS was replaced entirely by a streamlined system known as the Emergency Alert System (EAS). The difference between the two systems was drastic. The EAS’ central control was powered by remote satellite that had the power to suspend the operations of AM and FM radio stations, VHF, UHF, and cable television. As of May 31st 2007, the EAS also forced private digital radio and satellite television broadcasters to participate. But there were other undocumented powers the EAS had that were farther reaching. It had the ability to send simultaneous text messages to every device connected to the Internet, including cell phones, desktop computers, and gaming consoles. It could send messages to technologies considered obsolete: fax machines, teleprinters, vibroplex morse keys. So efficient was the EAS that other nations based their own national warning systems on it. Each nation routed their own system through a dedicated satellite switch — which was a failsafe in case of any terrestrial communication jammers. Every warning system utilized the same API. This was known as the Omniscience API. It took 25 years for the Omniscience API’s reverse engineering to near its completion. It had to be done in secret lest the authorities got wind and unceremoniously brought it down — replacing it with a back up. For this reason, only Tom and and Johnny knew exactly what the Omniscience API was. The rest of the team simply knew they were doing God’s work. When the reverse engineering was complete — thoroughly tested and deemed cross compatible — Tom and Johnny brought the whole crew together. This is God. If you don’t stop all your wars within a week, I’m just going to end the world. 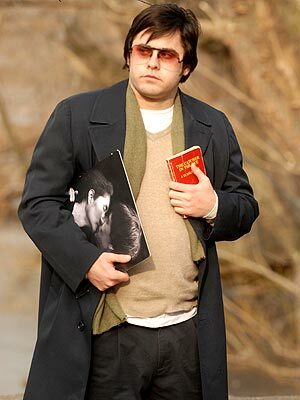 Of the three assassins, Mark David Chapman was the only one obsessed with it. Being a Christian, Chapman took offense to Lennon’s atheism. He saw John Lennon as a phony, because he saw God as real. By killing Lennon, Chapman hoped to save children from emulating Lennon’s godless ways. Chapman saw Catcher in the Rye as his inspiration. 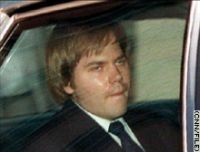 John Hinckley was not obsessed with Catcher in the Rye. It just so happens that when police entered Hinkley’s residence, Catcher in the Rye was sitting on his coffee table. Hinckley, while mentally unbalanced, had an altogether different obsession: Taxi Driver. Hinkley saw himself as Travis Bickle. By killing Ronald Reagan, he sought to impress Jody Foster. As for Lee Harvey Oswald, Catcher in the Rye was just several other books he owned. He also had in his possession Animal Farm, Das Kapital, and Mein Kampf. He was also a big fan of spy novels and science fiction. Why Catcher in the Rye? 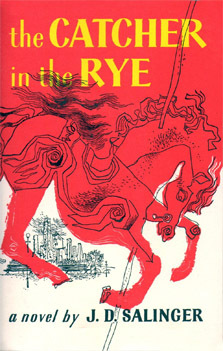 Catcher in the Rye depicts Holden Caufield, a 17-year-old boy who narrates from a mental hospital. The book recounts events over a two day period that happened a month earlier. To those who do not cope with a mental illness, the plot of Catcher in the Rye seems depressing, and it is. But by the book’s end, it is apparent that events being described are actually the happiest moments in Caufield’s recent memory. What he describes is something that he remembers fondly as joyous and happy. He chooses not to mention present day, saying simply that he feels “sick”. Seeing, his current life as inconsequential, he feels he needs to “start applying” himself. Inside the mental hospital, he find he misses everyone: his former classmates, Stradlater and Ackley, and even Maurice, the elevator operator/pimp. What’s striking about Catcher in the Rye isn’t how weird Caufield is, but how normal he is. Rather than being unhinged and unpredictable, Caufield is simply a boy very much like other boys. In this sense, it is easy for someone dealing with depression to identify with him. 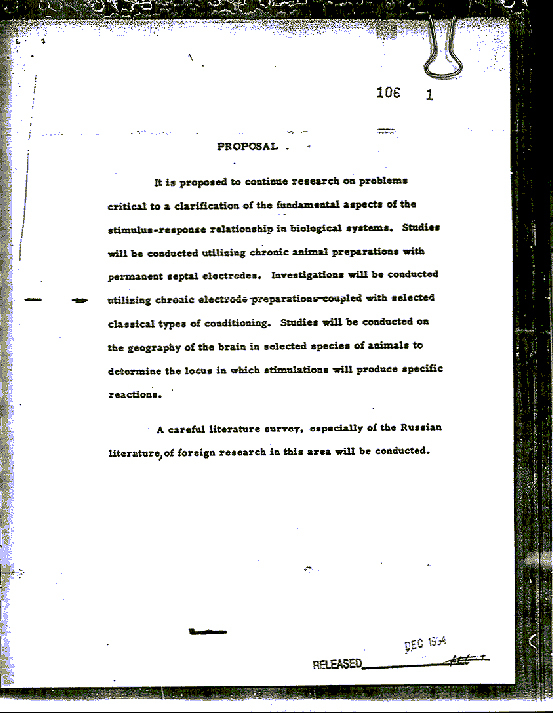 The published evidence indicates that Project MKULTRA involved the use of many methodologies to manipulate individual mental states and alter brain functions, including the surreptitious administration of drugs and other chemicals, hypnosis, sensory deprivation, isolation, verbal and sexual abuse, as well as various forms of torture. The most infamous example of Project MKULTRA’s activities is the case of Frank Olson. A United State Army biochemist, Olson was given LSD without his consent. Soon after, he fell 13 stories to his death. Officially, it was ruled a suicide, but as Olson’s family points out, Olson planned to blow the whistle on moral issues he had with his research. When Olson’s body was exhumed in 1994, cranial injuries indicated that Olson had been knocked unconscious before he exited the window. The medical examiner termed Olson’s death a “homicide”. Why was Olson murdered? Olson’s concerns were the development of assassination materials used by the CIA, collaboration with former Nazi scientists under Operation Paperclip, LSD mind-control research, and the use of psychoactive drugs during “terminal” interrogations under a program code-named Project ARTICHOKE. Clearly, though Catcher in the Rye probably was not the assassination trigger, it is quite probable that the CIA often does use other means for assassination triggers. “You mean to tell me there’s some sort of art to bashing someone in the face?” asked an incredulous family friend last Thanksgiving. “Not only am I telling you it’s a science, I’m telling you it’s a beautiful science,” I replied. I attempted to explain some of the nuances of boxing to her, but her eyes glazed over. So, I realize the challenge I have when explaining its appeal. Boxing cannot be explained, it has to be seen to be appreciated. Yet, here I am talking about it. Boxing is a integral part of my life. It’s not the Floyd Mayweather or Manny Pacquiao’s of the world the hold my interest. My favorite fighters are the lunch box brawlers who show up for a few thousand dollars, yet give it their all every fight. The fight between Ji-Hoon Kim and Yakubu Amidu was one such fight. The two of them cannot be more dissimilar. Kim comes from South Korea, a economic powerhouse that is home to several multinational high-tech corporations. It is a nation that once produced several elite level boxers, but has since seen a drop off in talent. Amidu hails from Ghana. Indeed, it is a third world country located in West Africa, but it is also the world’s third fastest growing economy. 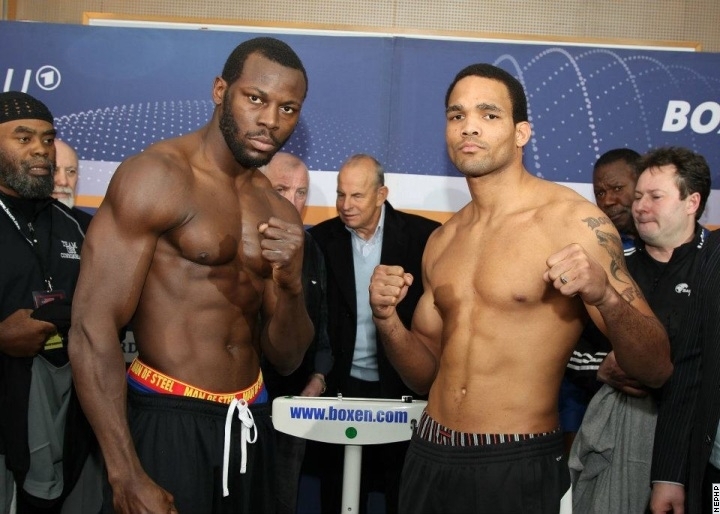 Ghana continues to produce top level boxing talent, including Joseph Agbeko, Joshua Clottey, and Osumu Adama. In many ways, these fighters represent a new reality of boxing. 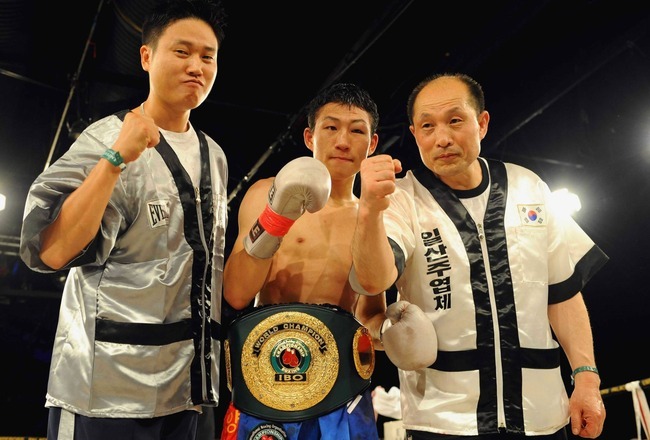 Boxing talent comes from around the world. It is has become globalized — yet talent continues to come to America in pursuit of a dream. In part of of Kim-Amidu, we see a back and forth in momentum. Both fighters go full bore offensive. As you see, Kim and Amidu are not what you would typically see on a top shelf Pay-Per-View fight. They are not beautifully defensive fighters like Floyd Mayweather, nor do they have the calculated blitzes of Manny Pacquiao. Rather, Kim-Amidu was a great display of brawling. By “brawl”, I don’t mean that either fighters were sloppy or lacked skill. Brawling is a legitimate, long storied style in boxing. Some of the most famous boxers in history were brawlers including: Micky Ward, George Foreman, and (the fictional) Rocky Balboa. Brawling, as a style, seems deceptively simple. A brawler moves forward into the killzone, absorbs punishment, then trades with their own (often) harder, more powerful punches. Of course, there’s more to it than that. Brawling is about foot positioning, forcing your opponent onto his heels, and maximizing torque for hooks and uppercuts. What made this fight so fun to watch was that both Kim and Amidu were willing to trade — both being convinced of his ability to out-punch, out-muscle, and out-last the other. At any moment, either Kim or Amidu could have thrown the knockout punch, the equivalent of a home run swing that kept the verdict of the fight out of the judges’ hands. But in the end, both fighters were standing — doubtlessly due to their grade A chins. Sadly, By virtue of their willingness to trade all too often, both fighters won’t have long careers in boxing. We will be lucky to watch a few more displays of chutzpah on Friday Night Fights. Perhaps one of them will get a crack at an alphabet championship, but both will probably fade into obscurity. At least they gave us this fight — a fight that entertains. More importantly, it’s a fight that deserves to be seen. Hey mom! I’m on TV! When I was a child, I thought a video camera was following me everywhere, and my story was being broadcast on someone else’s television. I thought the reason I couldn’t see the camera was for the same reason the characters on television couldn’t see the camera either. It was only later that I realized no one was watching me on television. It was only recently that I realized Google is watching everything I do on the Internet — so we’ve come full circle. Person being exorcised was a small college girl, no more than 110lbs. She started talking in a deep, throaty, menacing voice lower than a typical man’s. Her eyes kept rolling to the back of her head. The girl had crazy brute strength. She threw a big football player 6 feet. After that, it took six strong men to hold her down. Apparently, this episode was triggered by traumatic childhood events. Honestly, it could be she was just dealing with mental health issues. That kind of thing, though cannot account for what I saw this girl do. I don’t know how someone who’s never exhibited any athleticism in her life could magically start contorting herself like a circus freak, nor do I understand how someone so tiny could suddenly become a championship power lifter. Here’s what I do know, though. She seemed better for it. That year, she met her future husband. They’ve been together for 11 years, and now have two lovely daughters.